One of those treasured delicious items that I loved was the Chicken Caesar Pita from Chili’s. WHY?! did they take this delicious refreshing wrap away! Luckily this is a pretty easy recipe to replicate. I would;t even call it a recipe really…it’s an assembly. The great news is it’s a fast recipe! It took me maybe 30 minutes to throw these babies together. Start by cooking some chicken, and chop it up. I seasoned the chicken with salt and a lot of pepper. Keep it simple. 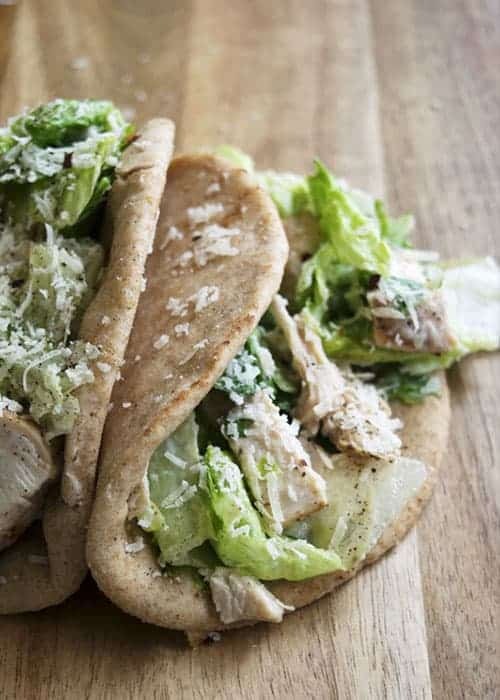 Then grab some lettuce (just get a bag), Parmesan (so worth it to splurge on the real stuff, and some Caesar dressing (I like Cardini’s, and they have a lite option). Then stuff the mixture into a flatbread! I found these whole wheat flatbread at Kroger, but Naan works really well to. If you want to be super fancy, heat some oil up in a pan and warm up the flatbread before stuffing. Yum… It’s technically healthier than Chili’s old version too! 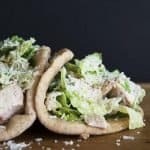 Copycat Chicken Caesar Pita is a fast weeknight dinner! Heat a medium size skillet over medium high. Pour the olive oil into the hot pan. 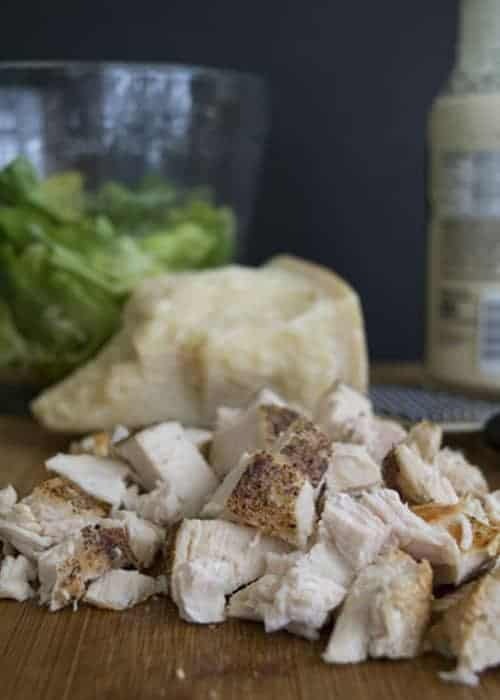 Season the chicken breast with salt and pepper on both sides. Place the chicken carefully into the hot pan. Cook for around 10-15 minutes on one side, then flip the chicken over to cook through. It should take another 10-15 minutes. 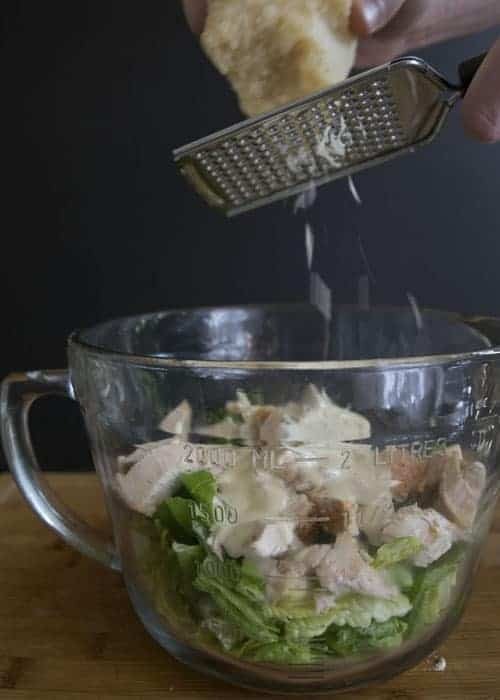 Pour half a bag of chopped romaine lettuce into a large bowl along with the Parmesan cheese. When the chicken is cool enough to handle chop it into bite size pieces, and throw it in the bowl. 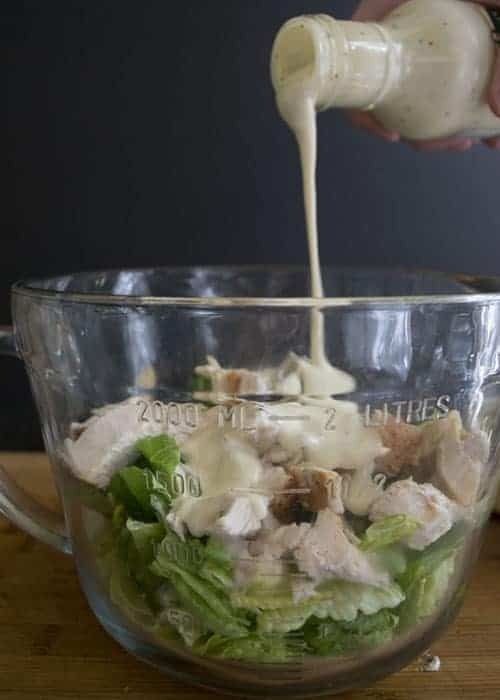 Drizzle over the Caesar dressing and toss to combine. 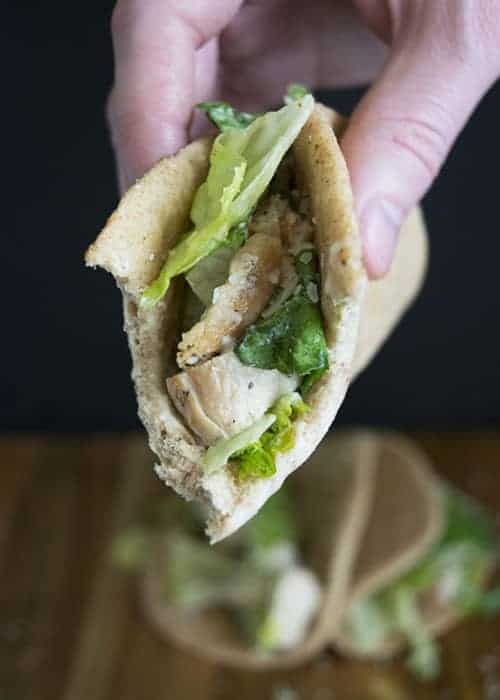 To prepare the pitas, either warm on the stove top in a pan, or microwave them for a few seconds. 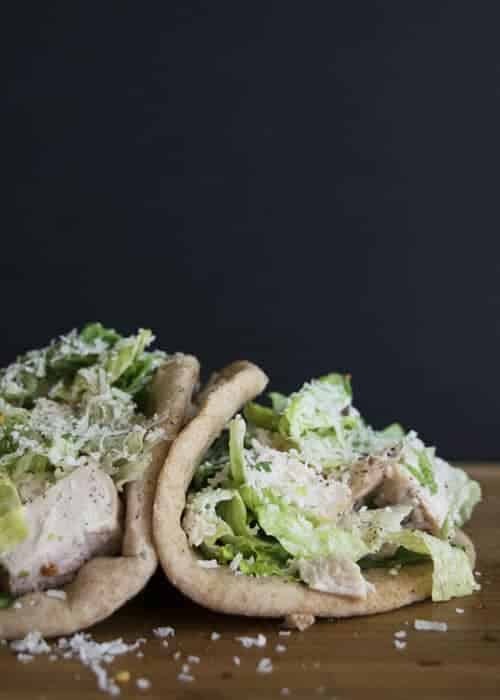 Stuff the flat bread with the chicken Caesar salad, and garnish with as much Parmesan and pepper as you desire! Thank you so much! This was one of Nolan’s favorite menu items. This just made me crave a bite of it! It’s mouthwatering,thank you for the post!! Thank you so much Sibel! Your site is beautiful!